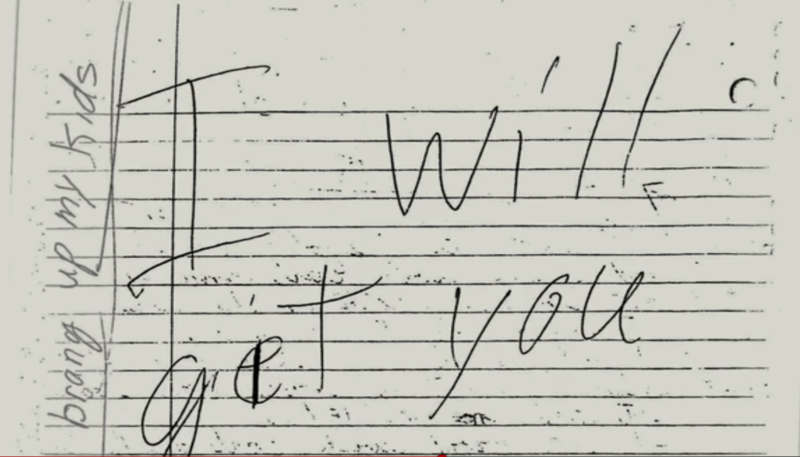 Here are some more of Steven Avery's letters from jail. Threatening to kill people and kill their children also! I Wouldn’t want this guy as my next door neighbor. Me either - but I wouldn't want several people as neighbours. Many people make threats - it doesn't mean they would go ahead and act on them. Avery had never threatened Teresa and he surely would have known he would be a suspect - but then again, perhaps he really is that much of a moron. I think he is most likely guilty BUT (like Bamber), I feel that some of it was engineered and that Brendan is not a reliable witness because of the methods employed to interrogate him. "RACHEL went on to indicate that she had learned STEVEN AVERY had made inappropriate comments to TERESA in the past and further had come out of the house on a previous occasion wearing only a towel." "DAWN did tell me TERESA had confided in her about STEVEN AVERY on one prior occasion. She states STEVEN had come out of the house wearing nothing but a towel one time and TERESA was somewhat concerned by that." photo studio owner who worked with Teresa. "He said TERESA told him she had some problems with male clients over the summer after the photo shoot; and while filling out paperwork and taking payment, she often was invited into the homes. He said TERESA said some males become verbally or physically flirtatious offering her drinks, etc. PEARCE said that he had warned her to be careful, being alone and often times in rural areas." According to a Plumber named Michael Osmumso. "STEVEN stated people go missing all the time and this girl may "have left for Mexico."" It's only genuine evidence if it's not engineered and you have been brain washed re: Bamber. I'm not suggesting Avery is innocent just that the police tampered with the evidence and that Brendan's testimony should never have been allowed. You have to invest an outlandish theory to explain why so many witnesses would lie in the Bamber case - including how an old farmer was able to bully EP into fitting up and innocent Jeremy. How is Avery wearing a towel evidence that he killed her? According to a plumber? Isn't that hearsay? Hmmmmm? I'm not suggesting Avery is innocent. Its rather ridiculous to suggest as you now know. and that Brendan's testimony should never have been allowed. The Sixth Amendment provides that a person accused of a crime has the right to confront a witness against him or her in a criminal action. As well as the right to cross-examine the prosecution's witnesses. You have to invest an outlandish theory to explain why so many witnesses would lie in the Bamber case -including how an old farmer was able to bully EP into fitting up and innocent Jeremy. Outlandish? The conspiracy needed for Avery being innocent is bigger than Mikes theory of police shooting Sheila. No because it came from Steven. Its rather ridiculous to suggest as you now know. - No more ridiculous than believing Bamber is innocent. I never said it was used at Avery's trial but it was used to convict Dassey. Had Dassey given his evidence it would have been ripped to shreds because he wouldn't have remembered what he was talked into saying. Outlandish? The conspiracy needed for Avery being innocent is bigger than Mikes theory of police shooting Sheila. Rubbish! It has plenty of pervy rapey undertones to it you must admit - Like the Youtube video you posted above cept the guy in your video was pretty graphic and you thought THAT was funny! What is everybodies position on this case now? I think Indigo and Caroline have come to thier senses now. What about Buddy and Jon? or are they still in Netflix fantasy world? Come to my senses about what? The thread (for the hundredth time) isn't about guilt or innocence! Why can't you understand that? Maybe one day you will come to yours, but nit today! Like we said from the beginning of the thread 'watch the f'ing series'! if the dna ws tested correctly in the first place then a retest will see eactly the same thing as the first test so why does the proscution just not agrea to the defence reuest for a retest of the dna.